Heineken Light wants to introduce you to a few guys who know a thing or two about living the good life. Watch as two regular guys, Gavin and Jamie, learn everything from how to improve their golf swing to how to get the girl with a little help from their well-seasoned gurus, Terry, Maurice and The Judge. Check out the videos and See the Light. Want to step up your game this summer, too? Consider us your wingman. Each Friday for the next 10 weeks Heineken Light will offer one magnificent weekend-enhancing tip designed to get you off the couch and into life. Our tips will cue you in to everything from live music shows that beat all others, to beach-volleyball free-for-alls so joyously intense, the next morning you may be limited to R&R by the pool. Look for a fresh tip every Friday. 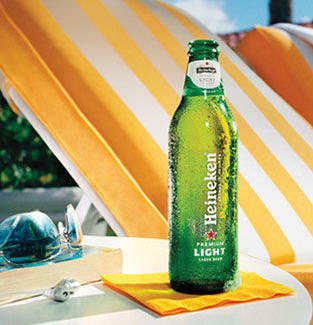 Visit Heineken Light on Facebook to See the Light.